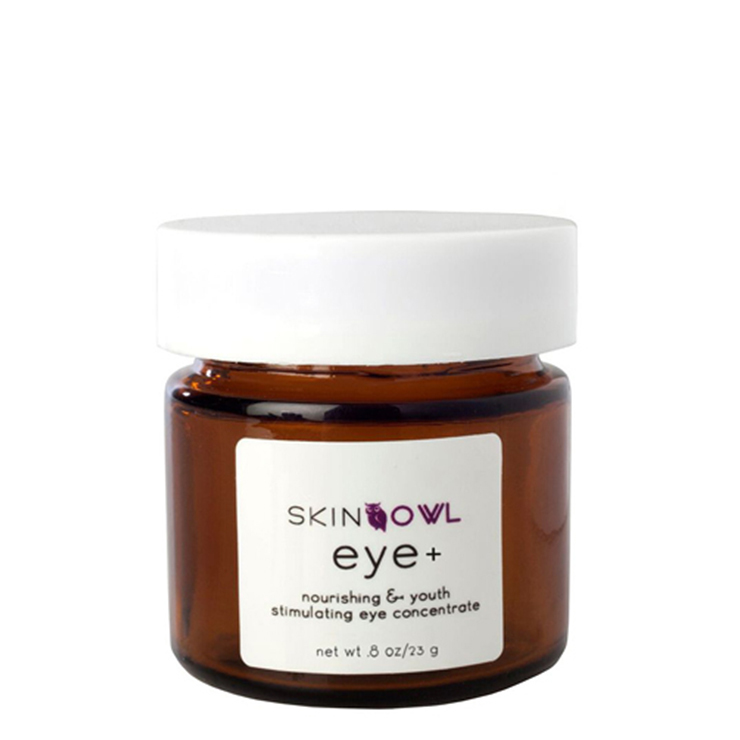 Eye + by SkinOwl is a lightweight gel eye moisturizer crafted with a targeted blend of ingredients that make the skin look brighter. It works day and night to give the appearance of boosted circulation, decrease the look of puffiness, make the skin appear firmer around the eyes. Cool to the touch, Eye + works on contact so you can see and feel immediate results. Using your pink or ring finger, pat a small amount gently around the eyes working from the bridge of the nose out and up to the eyebrows. Continue to tap lightly onto skin. This dries out my undereye area, there is a bit of firming but the dryness offsets this and makes it terrible to use concealer over. So I have to choose between having eye bags and no dark circles or having no eye puffiness and dark circles. This is such a lovely gel. It feels amazing going on and is even better when pulled directly from the fridge. It does tighten up the eye area, so for me with parched skin, it caused some puckering and wasn't quite moisturizing enough. I love this in the morning to depuff and perk up my eye area before applying makeup, it feels firming and cooling. I would definitely repurchase this lovely product A+.